Content marketing is all about the content, right? Well, sort of. If content creation is one half of content marketing, the other half is content promotion. After all, the best content in the world isn’t truly effective unless people are reading it. How do you embrace the potential ROI of content marketing without branding? It’s all about content promotion. To illustrate this point, we’ll first define content promotion (aka influencer outreach) and show how it worked for one of our clients: Rainbow Muffler & Brake. Content promotion is an effort to get your created content shared on other sites or social media accounts belonging to people or companies that are relevant in their field. Content can include blog articles, white papers, infographics and any other content created by you (or your marketing agency). Since the summer months often result in a website traffic dip due to vacations — especially for companies in the automobile industry — we were hoping to give the site a boost by promoting a relevant, high-quality blog. Based on keyword research, we were able to land on a solid topic and wrote a blog post titled “The Essential Road Trip Checklist for Your Car.” The post had three sections beneficial for people who may be traveling during the summer: an Ohio-based destination checklist, a packing checklist, an activity checklist and a preventative maintenance checklist. Overall, the blog was packed with relevant information, keywords and links (both external and internal). 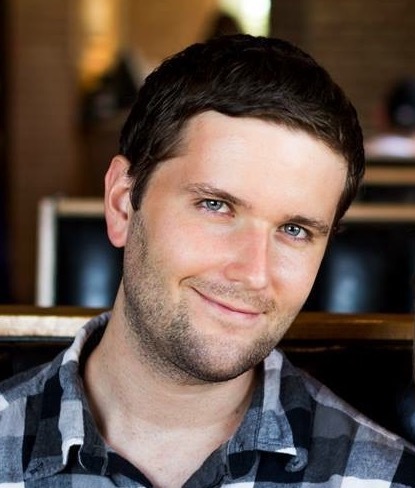 At madison/miles media, we use a variety of content promotion techniques, from social media engagement and guest posts to participating in forums and even live events. One of our favorite content promotion techniques, however, is using Pitchbox to run a blogger outreach campaign. That was how we found an influencer who was a particularly good fit for Rainbow’s blog content: WheelScene, a website featuring content focused on automotive news, articles and maintenance tips. It was a perfect fit! After negotiating a bit, we agreed on a mutually beneficial backlink and social promotion exchange. We would link to one of their blog posts and share it on our social media channels, and they would do the same for us. 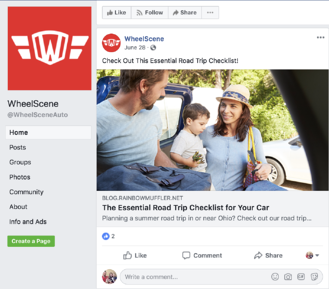 We inserted a WheelScene blog post on the above road trip checklist post and they shared it on their social media — where they have more than 70,000 combined followers across Twitter, Facebook, YouTube and Instagram. Talk about impressive! Other side effects of this content marketing success story include an increase in leads, social followers, conversion rate and more, so it was a tactic that is paying tremendous dividends for our client. So what’s the lesson learned from the content promotion success story? It’s that the very best way to promote your content is to develop relationships. By creating relevant, valuable content and partnering with another company or brand who shares the same vision as yours, you can create a mutually beneficial agreement. We’ve continued to work with WheelScene on behalf of Rainbow since they first shared our content and look forward to many more content exchanges in the future. So what are you waiting for? Get out there are start building relationships to promote your content!